There are times when you accidentally lose vital contacts from your Android phone. Losing contacts would undoubtedly lead to so many troubles in the work and personal front. In such cases you might be wondering how to recover deleted contacts from Android phone memory? Well, in this article we are going to take care of your Android contacts recovery. Stay tuned to learn more! The ultimate sulution for recovering deleted contacts from Android device is Tenorshare UltData for Android (Android Data Recovery). Apart from recovering contacts, this toul can also retrieve lost or deleted videos, photos, messages etc. The software has a high recovery rate in the market. Almost all Android mobile devices are compatible with this toul. You can run this application both on a Mac and a Windows computer. You can selectively preview individual files before recovering them. It supports selective data restoring as well. if you are thinking how to recover deleted contacts from Android phone memory, UltData for Android has the answer for that as well. 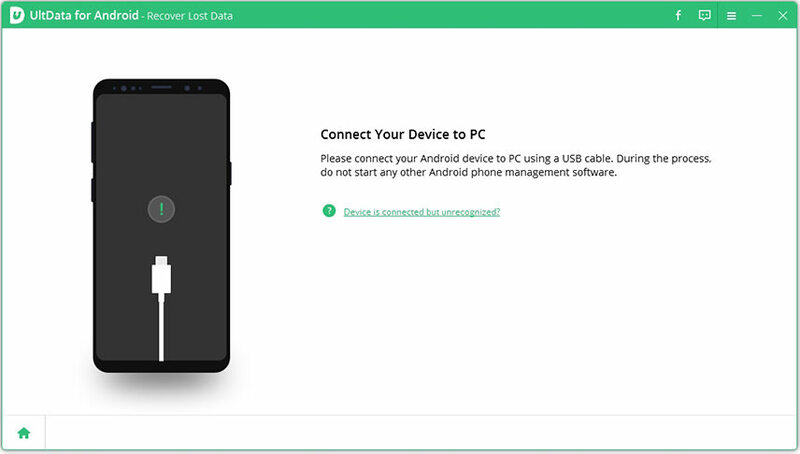 Step 1: Install and launch TenorshareUltData for Android Data Recovery on your system and get the Android mobile connected to it through a USB. Step 2: Now that your device shows up on the UltData interface, you can see a number of file types on screen. Mark the checkbox against 'Contacts' and tap the 'Next' button thereafter. Step 3: Preview the list of files prior to confirming the recovery process initiation. No file should be missed out. Once you have selected the contacts to be recovered, press the 'Recover' tab from the bottom-right portion and wait a while. Your data will be recovered within few minutes. Jihosoft Android Data Recovery is one of the Android contacts recovery touls available for both Mac and Windows PCs. You can not only recover deleted contacts from Android phones/tablets, but also messages, videos, photos, and WhatsApp etc. Whether you have lost data by factory resetting, accidental deletion, ROM flash, system crash, rooting, virus attack, or physical damage to the device, Jihosoft Android Data Recovery can retrieve it for you. You can scan and preview the recoverable data and selectively recover deleted contacts along with other data from your Android phone memory. For resulving how to recover contacts from Android, Recuva can be an alternative. It can recover deleted and lost data from external hard disks, memory cards, and USB sticks etc. Music, photos, documents, videos, emails and contacts stored in any rewritable media can be recovered with it. Have you thought of how to recover deleted contacts from Android phone using a Google backup? Well, as all Android devices can be synched with Google account to get the data backed up, you can use it to recover the lost data. Turn off your Google auto backup as soon as you know that you lost contacts. Visit 'Settings' > 'Settings' > 'Backup' > 'Backup to Google Drive' > 'ON'. Now, go to 'Settings' > 'Accounts' > 'Google' > select the same 'Google account' > turn on switch next to 'Contacts' > 'Sync Now'. A notification with 'Sync Complete' will show up on screen. You can now find the contacts restored to your Android phone. Then, enable the Google auto-sync again afterwards. After going through the article, we would recommend you to use Tenorshare UltData for Android to recover deleted contacts from Android devices. It can let you selectively preview and recover lost contacts and data. Selective contacts recovery is not possible with any other toul the way UltData for Android recovery does it.